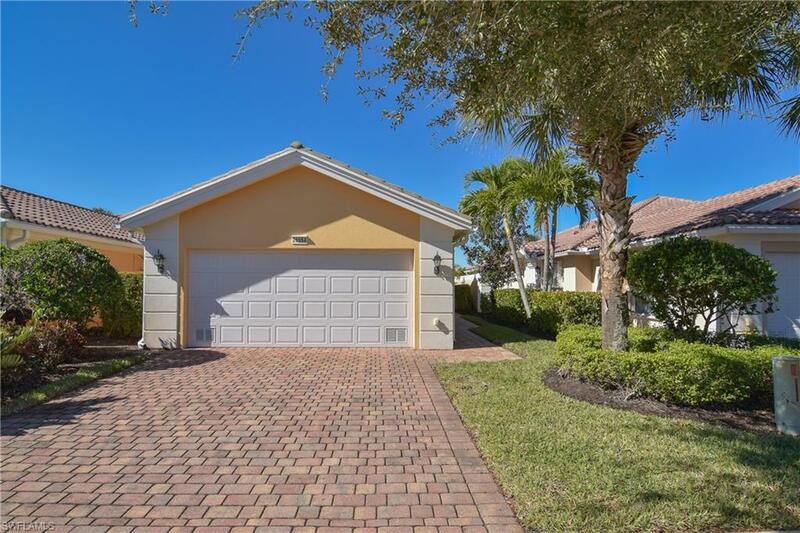 This popular" CAPRI "model in Village Walk includes your own swimming pool on your lanai for your enjoyment in this peaceful surrounding, overlooking a canal water view . This two Bedroom/two bath plus den model is a favorite for a vacation/second home or year round living . The noted Divosta "built solid" poured concrete construction was used for this home . Privacy wall enhances the setting. 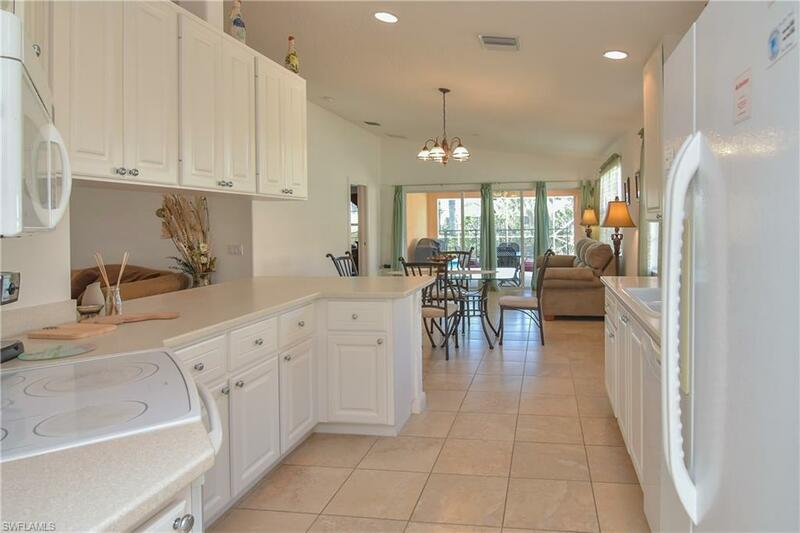 Kitchen has solid surface counters and plenty of cabinets, flowing into the large den area. Very spacious closets in bedrooms grace this unit, in addition to 2 car attached garage with pull down stairs leading to attic storage area. Central vacuum. Neighbor-friendly street in the back of the development provides serenity from any traffic disturbances. 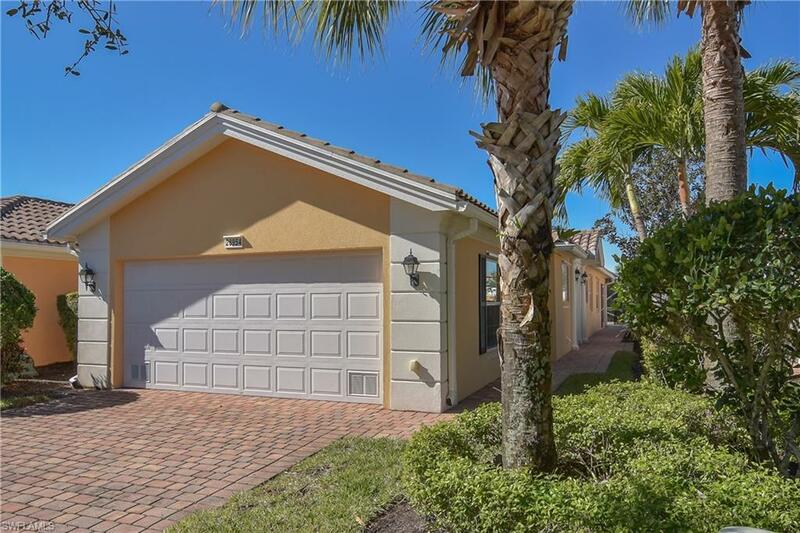 Village Walk of Bonita Springs offers more than you can imagine, and is a favorite with the 1655 multi-use units in the community. The HOA fees are among the lowest in the area, making Village Walk a very desirable resort-style community. Logan Extension ,currently under construction will be to the West of the development and provide easy access to Immokalee Rd in North Naples. Don't let your buyers lose out . Bring them by today ! .